In Chapter 4 of the Gospel of John, Jesus meets a Samaritan woman at a well. In those days, the Jewish and Samaritan peoples had an unpleasant relationship and did not associate with one another (which is why Jesus’ parable of the Good Samaritan was so striking). To make matters worse, this Samaritan woman had a bad reputation in her personal life. No self-respecting Jewish man would even acknowledge a woman like this. Jesus, on the other hand, asked her for a drink of water and promptly ministered to her. She went out and told the story to the Samaritans, many of whom came to follow Jesus as a result of this one encounter. This past Sunday, my friend Dalton Mathis preached a sermon at church on this very passage. It got me to thinking about our roles in our communities and our service to God. Dalton rightly observed that we’ve got to quit worrying about what others think of us, because trying to “fit in” keeps us from true service. Plus, who decided what constitutes “fitting in” anyway? On Palm Sunday, Jesus did not ride triumphantly into Jerusalem on a powerful stallion, the picture of unstoppable power. He rode in humbly, on a mere donkey. As Dalton admonished the crowd, it’s time for us to get off our high horses and get on the donkey too. Dalton observed that Jesus himself, the only perfect being who ever walked the Earth, thought nothing of humbling himself in the name of service. Why should we be so arrogant as to not do the same ourselves? Jesus got up from the table and served his friends at the Last Supper. His ministry is filled with him reaching out to the unclean, the sinners, and the “unpopular” crowd, folks like the Samaritan woman. We all remember the “cool” tables in the school cafeteria when we were kids. Those same “cool” tables exist in adulthood in our workplaces, our social gatherings, and our communities. Well, there was a “cool table” in Jesus’ day too. But who was sitting at the cool table? The Pharisees. They sat at the cool table and pointed out all the things Jesus was doing wrong. There’s nothing wrong with being “popular” per se. I think we all want to be popular in some form or fashion, among some group or another. But are we seeking popularity for the right reasons? And if we are “popular,” are we using that popularity for good? A popular member of the community can enjoy the spoils of popularity amongst their chosen circles and ignore the rest of the community. On the other hand, a popular member of the community can lead and inspire change within their people. If “popular” person is seen doing things perceived as “unpopular,” then suddenly others might wonder if that task is unpopular after all. If that person is willing to put their money where their mouth is, if *they* are willing to reach across ethnic, political, and economic boundaries, then why can’t others in the community do the same? No matter how the world views each of us—cool, uncool, popular, unpopular—we’re all created in God’s image. We should view ourselves and others accordingly, even when it’s hard to love ourselves or hard to love those others. In countless interactions through his ministry, and then in a final act on the Old Rugged Cross, Jesus gave up his superiority to serve the inferior. Those inferior people? That’s us. I encourage each of you (me included) to step back from time to time and see if you’re riding on your high horse. Are we worried about what the popular people think about us? Or are we serving the unclean, the sinners, and the unpopular? Are we encouraging the “popular” to follow our lead? 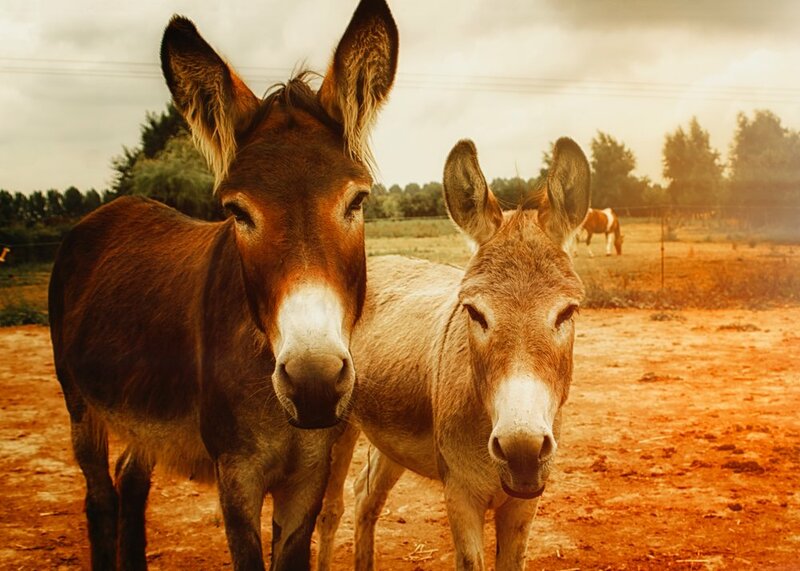 If Jesus gave up his superiority to serve the inferior, maybe it’s time for us to get off our high horse, get on our donkey, and follow his lead.